Statewide officials, state lawmakers and the candidates who'd like to unseat them faced a Monday deadline to report their campaign finances for the first half of the year. Here are some highlights. 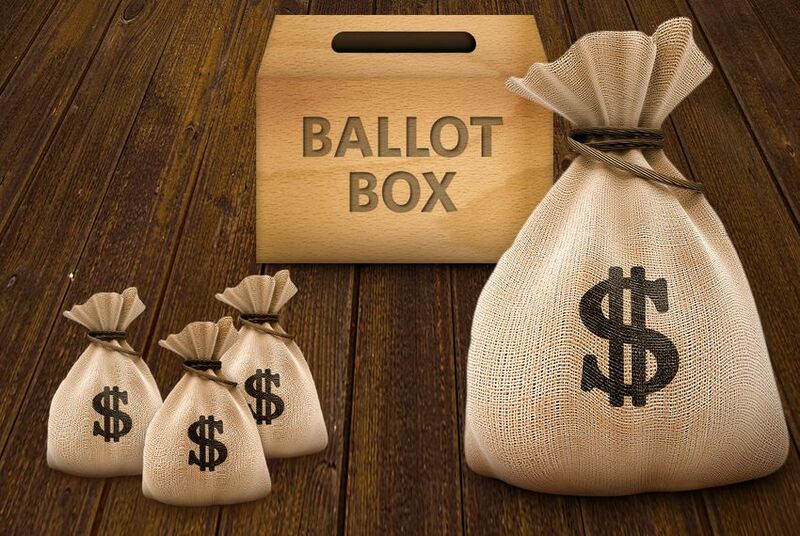 For incumbents, the fundraising window was far smaller: The only time they had to raise money was the last 12 days of June because they are prohibited from accepting campaign contributions in and around the regular legislative session. Those rules don't apply during the special legislative session, which began Tuesday. Agriculture Commissioner Sid Miller is considered one of the more vulnerable statewide officials due to the multiple controversies that have marked his first term. Miller's fundraising numbers for the latest period continued to trail those of most other statewide officials: He raised $157,000 and got a pair of big loans — $100,000 and $250,000 — from wealthy supporters, giving him a cash-on-hand tally of $514,000. Miller has not drawn a serious Republican challenger yet, but Austin attorney Trey Blocker says he will consider running for the post if Miller gets an appointment in the Trump administration. Blocker reported a cash-on-hand total of $750,000 — all of it from a loan he gave himself on June 30. Meanwhile, a Democratic candidate for agriculture commissioner, Kim Olson, disclosed having $18,000 in the bank after raising $21,000. She set up her campaign in February. Corsicana business owner Thomas McNutt is again running against state Rep. Byron Cook, R-Corsicana, in the primary after narrowly losing in 2016. McNutt has $250,000 in cash on hand — almost as much as Cook does — after raising $321,000 since he launched his campaign on April 18. Cook, who has not said whether he's running for re-election, did not raise any money at the end of June, but that may not be unusual for him: He also reported taking no campaign contributions in the days immediately following the 2015 legislative session. State Rep. Wayne Faircloth, R-Galveston, is being challenged in the primary by conservative activist Mayes Middleton, who began his campaign in early June and outraised Faircloth $60,000 to $11,000. Middleton also has more cash on hand than Faircloth does after loaning himself a combined $485,000. Middleton's figure is $480,000, while Faircloth's is $156,000. A number of Democrats have been running for months to unseat state Rep. Dawnna Dukes, D-Austin, who was indicted on corruption charges earlier this year. She has said there is a "very strong possibility" that she runs for re-election, but her most recent report does not exactly reflect an incumbent ready for a competitive race: Her campaign reported not raising anything, having $250 cash on hand and maintaining an outstanding loan total of $150,000. One of her potential primary rivals, Sheryl Cole, disclosed a haul of $30,000 and a cash-on-hand total of $28,000. State Rep. Jason Villalba, R-Dallas, appears to have a well-funded Democratic challenger in John Turner, a Dallas attorney and the son of former U.S. Rep. Jim Turner. John Turner, who started his campaign in late May, raised more than Villalba did, $107,000 to $31,000. Turner also posted a larger cash-on-hand number — $88,000 to Villalba's $29,000. State Rep. Briscoe Cain, R-Deer Park, reported raising $168,000 and having $181,000 cash on hand, putting the freshman in the top tier of GOP House members for the period. His haul included a combined $75,000 from Dan and Farris Wilks, West Texas fracking billionaires known to give generously to conservative causes. Cain has a primary challenger in Terry Sain, a Baytown City Council member, but Sain's report had not been published as of Wednesday. State Sen. Van Taylor, R-Plano, has not yet announced he's running for Congress — he is expected to after the special session — but the race to replace him is already underway. Phillip Huffines, the chairman of the Dallas County GOP who has been campaigning for the Senate seat since March, put $2 million of his own money into his campaign and raised another $547,000, leaving him with $2.4 million in the bank. State Rep. Matt Shaheen, the Plano Republican who is likely to run for the Senate seat but has not yet made it official, had $495,000 cash on hand after raising $62,000 at the end of June and loaning himself $187,000 in June. State Sen. Konni Burton, R-Colleyville, already has two Democratic challengers in her battleground district, where she has a $352,000 war chest after raking in $196,000 at June's end. One of her Democratic foes, Beverly Powell, raised $50,000 in just under a month and has $32,000 in the bank. Powell's cash-on-hand figure is closer to $46,000 when factoring in online donations she received at the end of June, according to her campaign. Another Democratic candidate, Alison Campolo, posted smaller numbers. State Sen. Don Huffines, R-Dallas, is also on Democrats' target list for 2018. He reported raising $222,000 at the end of June and having $930,000 in cash on hand. One of his Democratic rivals, Nathan Johnson, began his campaign in early April and has since raised $80,000, giving him a $65,000 cash-on-hand tally. Another Democratic candidate, Joseph Bogen, kicked off his bid in May and had raised $32,000 by the end of June. He has $21,000 in cash on hand. State Sen. Craig Estes, R-Wichita Falls, could face a primary challenge from state Rep. Pat Fallon, R-Frisco, who told The Texas Tribune on Tuesday that he is exploring a run but will not make a decision until after the special session. Fallon has more than $2 million in the bank, most of it from a loan he gave himself on June 30. Estes, meanwhile, has $424,000 in cash on hand. State Sen. Kel Seliger, R-Amarillo, is facing a rematch in the primary with former Midland Mayor Mike Canon, who lost to the incumbent in 2014 by 5 percentage points. Seliger did not raise any money at the end of June but has a massive cash advantage with $1.7 million in the bank. Canon, who announced his campaign in May, ended June with $89,000 in cash on hand after raising $73,000.